Suit up like the first Avenger! 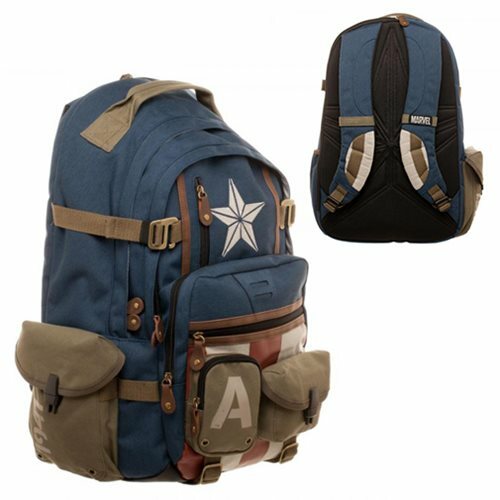 This backpack, inspired by Cap's costume, includes multiple zippers, pockets, and adjustable padded straps. The Captain America Herringbone Backpack let's anyone suit up like the Marvel hero and measures approximately 19-inches tall x 17-inches wide x 7-inches long! Ages 14 and up.